Congratulations to the players on St. Patrick`s Day (which is celebrated on March 17) and we wish everyone to find their own four-leaf clover, which will bring good luck. 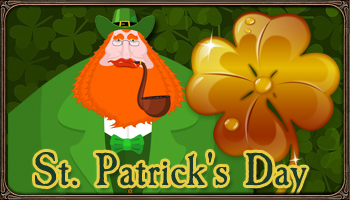 In honor of this holiday, on March 16 and 17, the event with Leprechaun will take place in the game every 30-45 minutes. Leprechaun-s Pot became Soulbound and gives gold now when used. Also, only on March 16 and 17, in the Arkijah, you can meet Patrick, who will give you a big chain of quests with great prizes. We advise you not to delay with the passage, because the chain is quite long.